← Making Lemonade with Ben: The Audacity to Cope by Katherine Perreth Book Feature – Win a Kindle Paperwhite! Mandamus is only a foal when his herd is captured by the terrible Rakhana Army. Rescued and raised in secrecy, he knows nothing of his heritage until a dreadful incident in the woods brings him to the attention of the Forest council – and everyone else. Sent away for his own protection, he is determined to seek help on behalf of the many animals who have gone missing from the forest, including his own family. The thing about me is that I – love to rescue things. Even teddy bears out of the garbage! I just adopted an emaciated horse from a rescue center and although her history is tragic, her future with me shines like the sun. 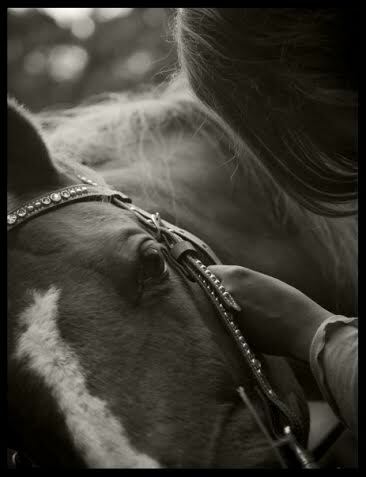 It is probably the best feeling I have ever had in my life, to be in a position to help her. Now, that being said, it turns out she’s doing as much for my sense of well-being as I am (hopefully) doing for hers. I call her Sahasa, which, I am told, is the Hindi word for courage. When I first get up in the morning, I try to avoid stepping on an animal. I seriously have so many pets that it’s like Disney’s Cinderella – only in reverse. They don’t help me get dressed while I sing…the dog usually takes off with my socks while the ferrets steal out of my backpack. The most important thing in my life is to be as true to myself as I possibly can be. I have found that only by being brutally honest internally, can I truly be any good to and for the people and animals around me. I went through a period where I lived alone and took a lot of time to really look at who and what I was. I found the strength of my writing grew and life improved immeasurably. I love to travel to Vancouver Island. To me, it is one of the most breathtaking spots on earth. You can’t ask for anything more lovely than a spot where the leaf of the forest meets the emerald ocean. Many a setting of the Mandamus and Luco series have been inspired by that stunning place. In my spare time, I write! Read anything I can get my hands on. Ride horses, practice roller derby, play my guitar, hang out with my animals, research for my next book, dig the sunsets, spy on outerspace through my telescope. One thing I learned about life is it is constantly shifting. You either embrace that instability or face being very unhappy. The sole mission I am on this earth is to write books about animal and human rights and publish them. Even if no one reads them, I know that I tried to make a difference. One little known fact about me that might surprise you is I am extremely insecure about my writing and although I seem very social, I am quite introverted. I’m perfectly happy in a room by myself making things up. My favorite time of day is…well, depends on the day. During the week, it’s when I pull up to my house after work and I know I’m getting a hug from my guy before I head to the stable. On weekends, it’s early morning, listening to my horse chew her hay. I love to write about animals. With this genre (YA fantasy) I have the freedom to create all these animal characters with different histories and personalities. The most difficult aspect about writing is my constant need for re-writes. I agonized over my first chapter. I must have re-written it no less than 15 times. My most favorite aspect about writing is character building. Mandamus, Arkas, Luco, all of them – they’re so real to me. I have pages of history, backstories and family trees for every character. When I became a published author for the first time, I drank champagne and celebrated – it was also my birthday! The inspiration behind my book comes from my need to acknowledge that this world can be a very hard place. People and animals face destruction of their homeland, displacement and starvation. How Mandamus came into being was the oddest thing that’s ever happened to me – I clearly saw him standing in front of me one day. Crazy, I know. The most asked question about my book is what is it about? I tell people that, yes, it is a story with talking animals, but the bigger picture (there’s always a bigger picture, isn’t there) is that it is a tale of courage, love, and finding yourself. o By entering, you confirm you are 18 years of age or older. o Raffle runs from 12:00 AM EST on June 2 through 12:00 AM EST on June 28, 2014.
o Winner will be selected randomly by Rafflecopter. o Winner will be notified by email and has 72 hours to claim the prize before a new winner is selected. o Prize will be sent via email from the author’s representative. This entry was posted in Author Interviews, Fantasy, Up Close & Personal, Young Adult and tagged Amazon gift card giveaway, author interviews, Between the Covers, blog tour, book blog tour, book tour, K. Madill, online book promotion, online book tour, Pump Up Your Book, The Stolen Herd, Up close and personal, virtual blog tour, virtual book tour, virtual book tours, young adult fantasy. Bookmark the permalink. 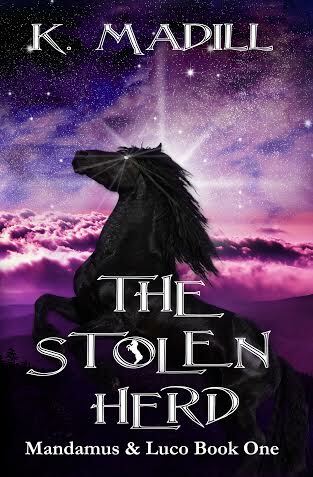 Thank you so much for featuring The Stolen Herd on your blog. What a great site! I’ll be sure to check back frequently for other exciting author interviews. Cheers!